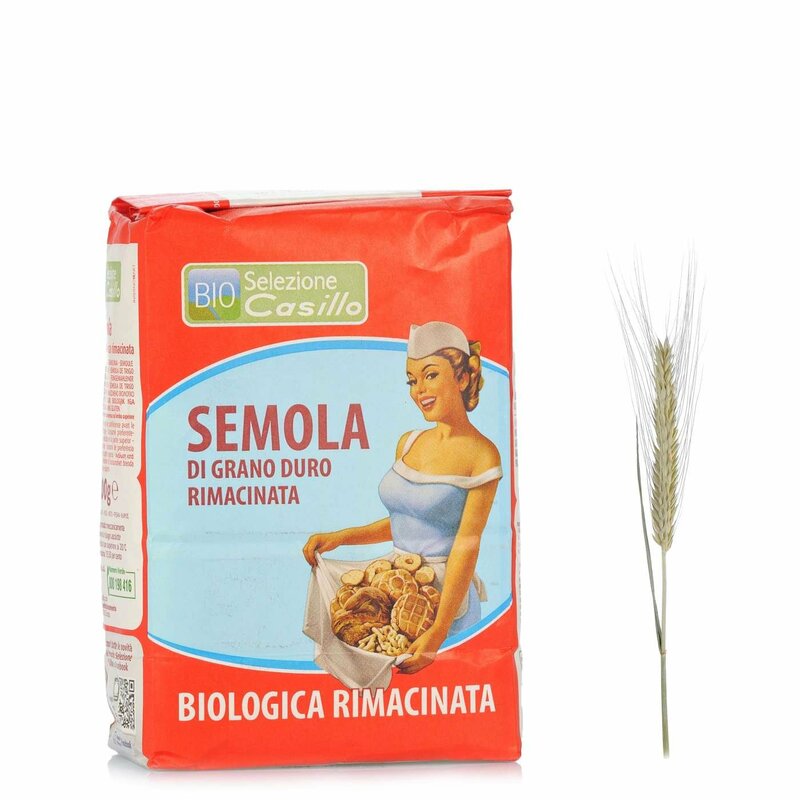 If you want to make delicious bread at home, a perfect pizza or soft focaccia, select the Remilled Durum Wheat Semolina from Selezione Casillo. Made according to the principles of organic farming, and processed with attention to ensure the grain is sufficiently thin, this semolina is a high quality product that can satisfy your creativity in the kitchen. Each recipe requires its own flour, and Eataly has selected the best for you for every type. Ingredients Remilled durum wheat semolina. ALLERGENS: cereals containing gluten (wheat, rye, barley, oats, spelt, kamut, or hybrid strains) and derived products For more information on product labels, please contact our Customer Service department. The information on the labels of the products may vary for reasons beyond our control, therefore, there may be discrepancies between the information on the site and that on the products delivered. Please always check the information on the product before consumption or use.